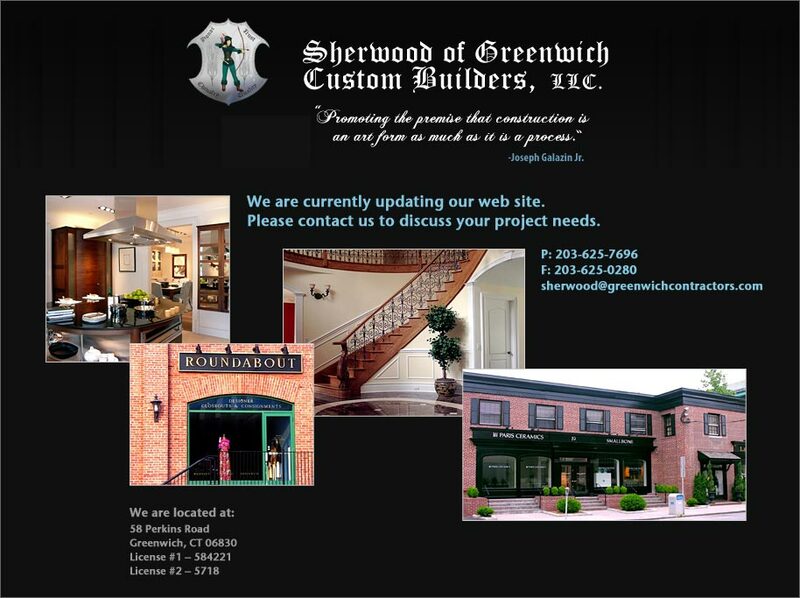 Sherwood Builders is a private contracting firm based in Greenwich, CT, specializing in custom projects for both the commercial and residential industry. We are proud to have built many unique retail shops on Greenwich Avenue, including commercial office spaces and restaurants. Our innovative and meticulous workmanship has ensured our niche in the high-end spectrum of residential construction, while maintaining an unsurpassed ability to carry out both residential and commercial projects. Sherwood Builders continues to satisfy many loyal clients since our founding in 1984. From the birth of our construction company, we have relied upon a closely knit relationship with our clients, and because of our exceptional service to them, they have returned the favor by recommending our company to others in Greenwich and the surrounding area. Our business network consists of repeat business and recommendations only. This has been accomplished by being honest in our communication, our choices, and our actions. Furthermore, we continue to promote the premise that construction is an art form as much as it is a process. Renovation and building need not be stressful; by using a true professional, your project can be a pleasant and gratifying experience. You can rest assured, when faced with a strict deadline, Sherwood Builders maintains enough man power and strategic capacity to fast-track any task we undertake.